This is a (Class 1 | Cat 1) water loss. The pre-existing water heater failed and the water ran down into the framed drywall stand. The water then ran under the sill plate and affected the building material in the bathroom that backed up the garage area. The policyholder was keen to stay in the home while the dry down and repair phase were underway. This presented an interesting challenge because nothing could be placed on the water heater stand while the dry down and repair were underway. In order to accommodate this reality, the mitigation contractor engaged a plumber to connect an electric 35-gallon water heater. Ultimately all the materially interested parties were grateful for this creative approach as this strategy provided an opportunity for the policyholder to remain in the home while simultaneously managing ALE claim cost. 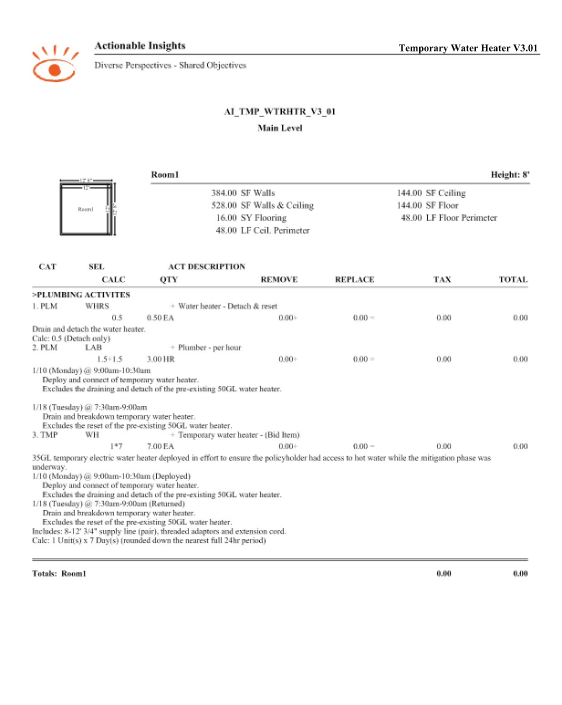 For more information as it relates to the pre-existing replacement/reset of the 50-gallon water heater, see the Water Heater D&R Insight Sheet. 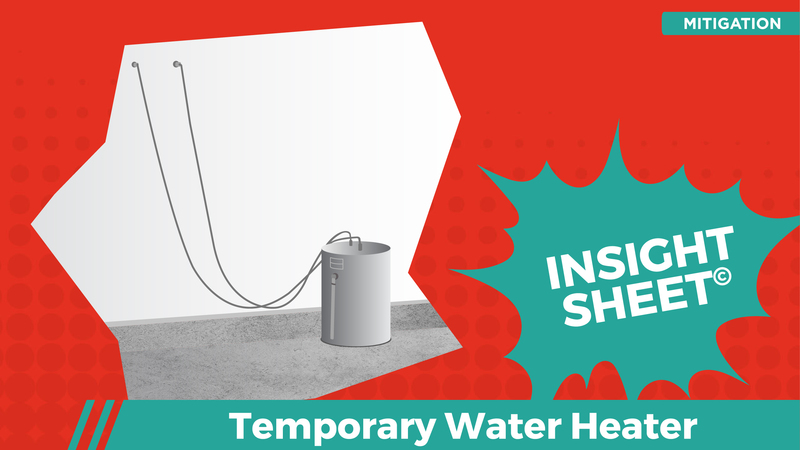 This Insight Sheet exists to clarify the activities associated with installing a temporary water heater. This does not seek to include or make concessions for all equipment and/or activities as it relates to a loss of this nature. Absolutely Jared, thank you for the feedback!